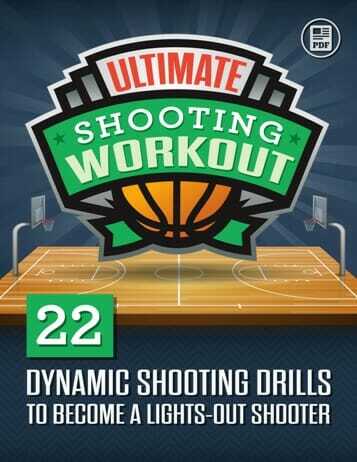 One of the basketball training drills I use is a high intensity transition shooting drill. When I set up the drill I specify that the players must go at top speed and try to put themselves in a game winning situation with the clock running down. All dribble moves must be excellent and they need to concentrate on finishing their shots. 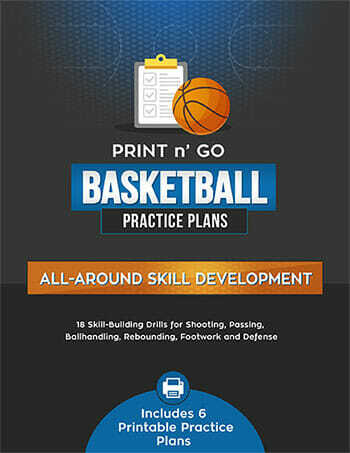 The drill I use is to start with a line of players at half court by the sideline. The first player makes a long chest pass to a coach in the same side corner. They follow their pass and receive a return pass from the coach at the elbow area and shoot the jump shot. The player gets their own rebound and sprint dribbles to the far side basket and shoots a pull-up jump shot, then hustles back in line. After the first player receives the return pass the next player in line immediately follows. With a small number of players it is a serious workout because they don’t get a break. I limit their set to 8 shots( 4 trips up and down the court). With larger groups you don’t need to give them a break because they get it in the line. 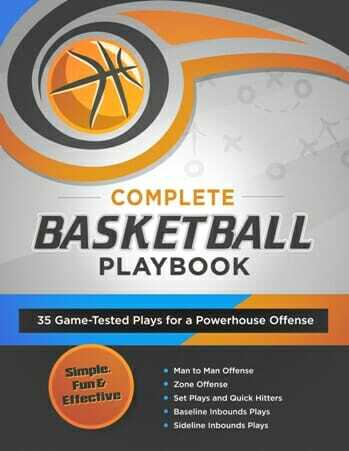 The first series is elbow jump shots on the return pass, then 3 point shots from the wing, You can also add a pump fake and drive or a step back jumper ( Be as creative as you want). I usually do two sets on one side of the floor then switch sides. I also vary what the players do on the full court dribble. I may have them do a full court sprint for a layup or jump shot, or I may specify that they must do a certain number of dribble moves on their way up the court for either a jump shot or layup.